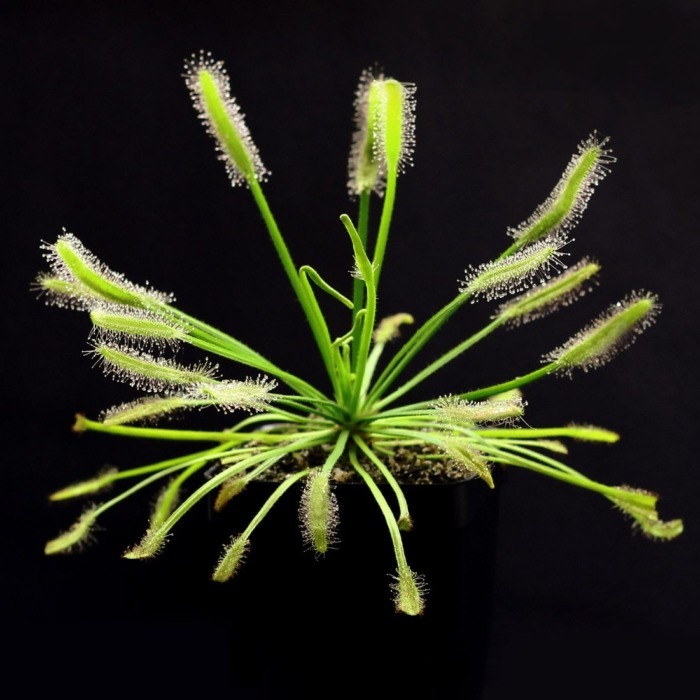 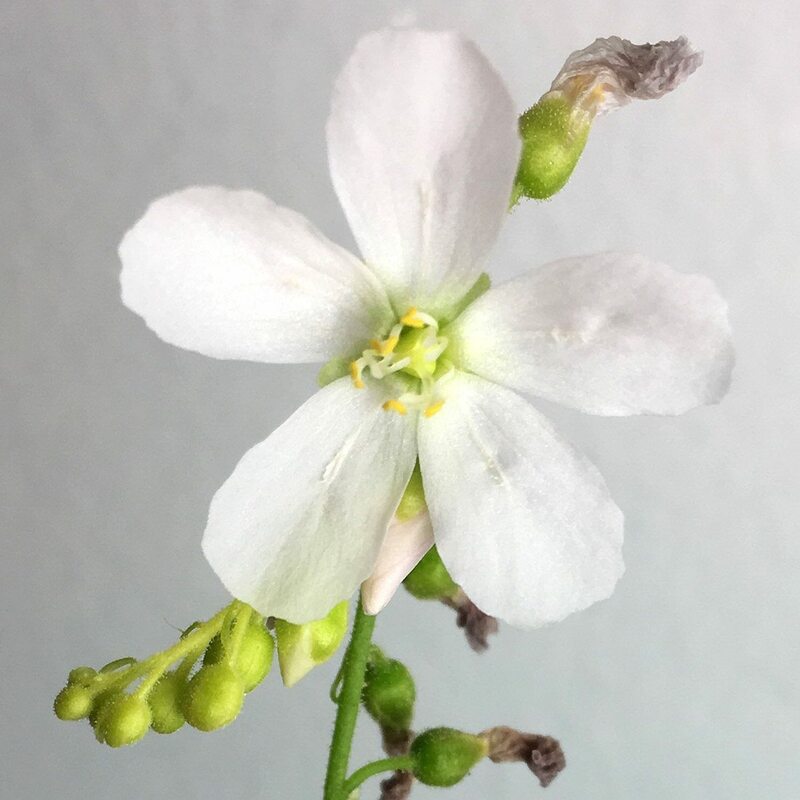 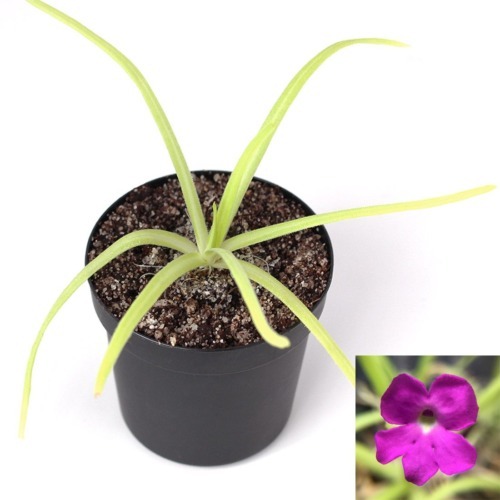 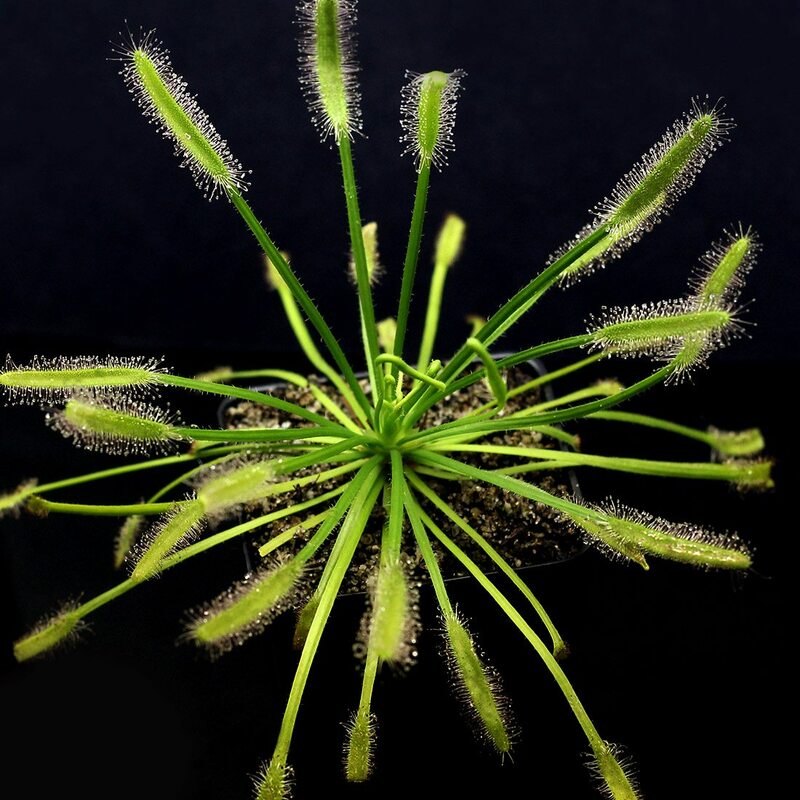 Drosera capensis ‘Albino’ (also known as the ‘Alba’ form) is similar to D. capensis ‘Typical’, however it lacks much of the red pigmentation of its counterpart. 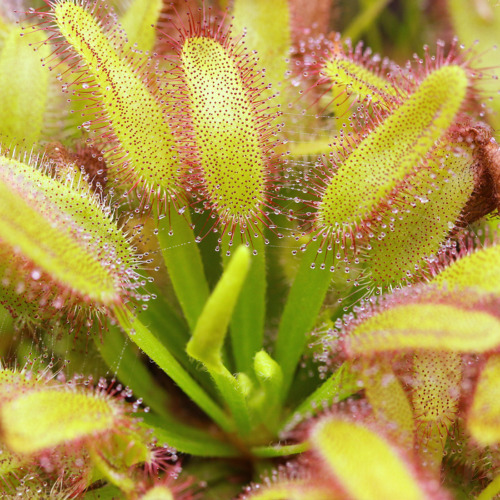 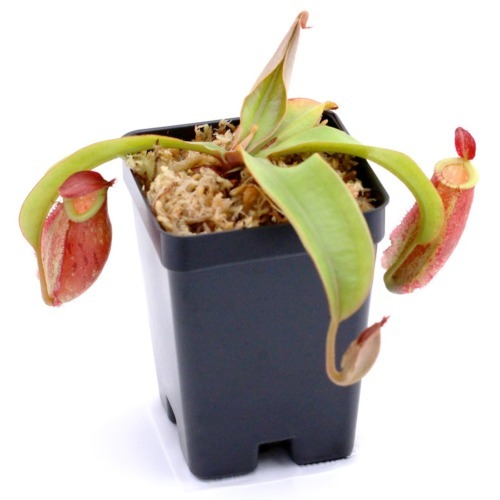 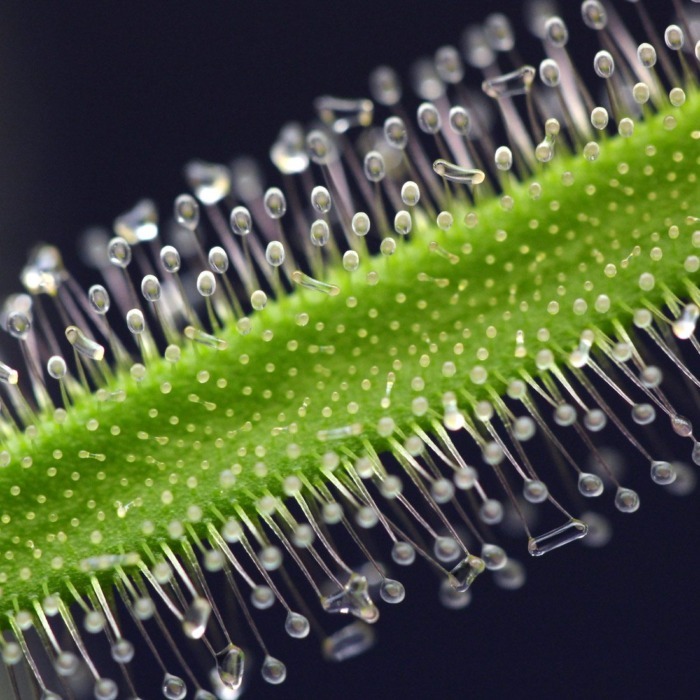 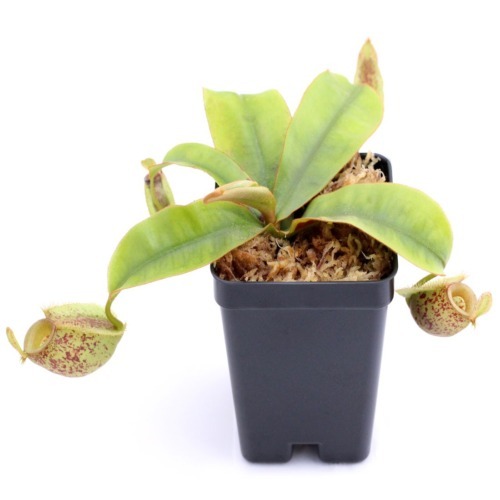 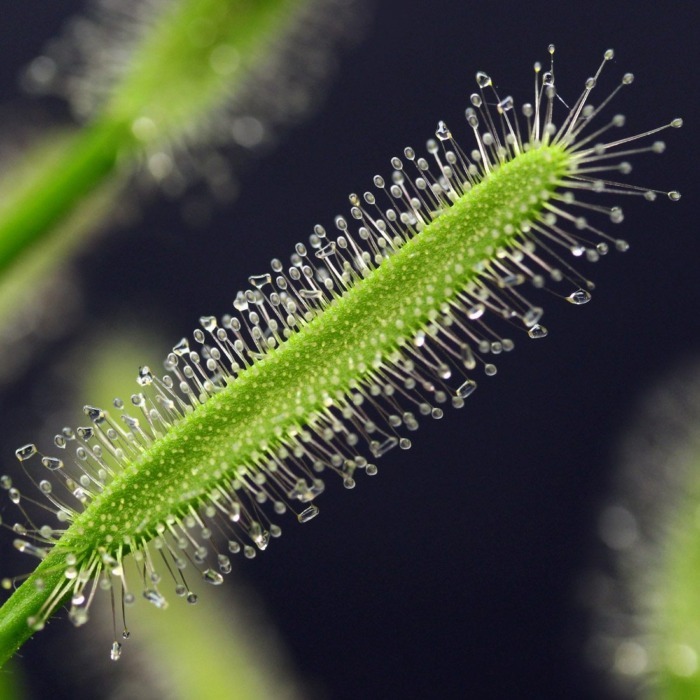 The plant will remain all green while its dewy stalks turn only slightly pink under intense light. 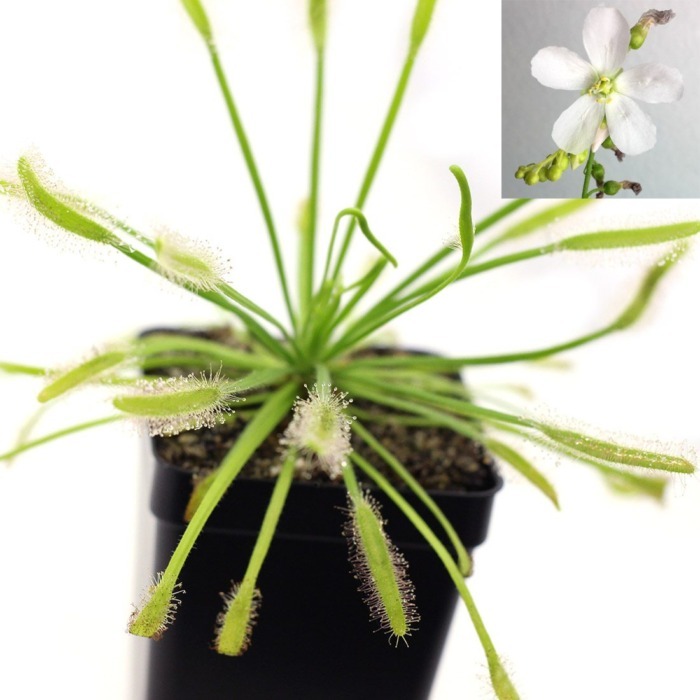 D. capensis ‘Albino’ produces all white flowers and is easy to care for.